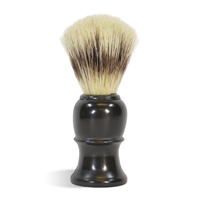 Our standard black shaving brush is the perfect addition to your men's care product line. Made of boar bristle and a black plastic handle that stands on its own. 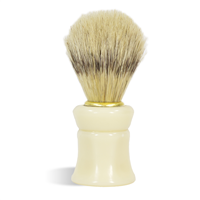 This shaving brush is made from boar bristle and ivory colored plastic. The plastic handle has four finger indentations that allow for a comfortable grip when using. Create shave soap gift sets with this brush! 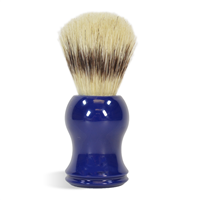 Our elite, navy shaving brush is a quality shaving brush made from boar bristle. The navy blue base made of sturdy plastic is rounded for a solid grip. 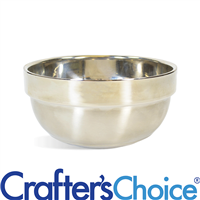 Pair with your handmade shave soap!